We have a selection of items for your home office too. Paper, envelopes, staplers, pens, pencils, highlighters, those little things you use to cover mistakes in ink, calculators, and pencil sharpeners both manual and electric. We have label makers, mailing supplies including bubble wrap and bubble envelopes, and tape. 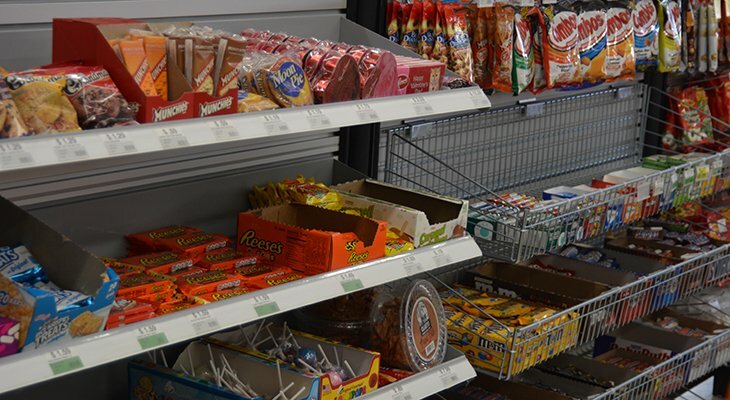 We also sell candy, chips, bottled water, and other Coke products. Did you know that our store supports a local charity with your purchase of Jelly Belly Candy? For every bag you buy for $2.99, we donate 75 cents to Challenge Aspen.